After it was announced back in January, the Apple iPad seemed like it could be the company’s first major clunker in a long time. However, two months after its release in the US, the iPad is far from being a flop. In a latest online statement, Apple has announced it has achieved sales of 2 million iPads in less than 60 days. 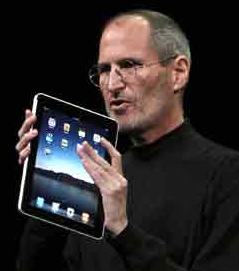 The hugely debated iPad has shattered sales records already. Currently iPad ships to just a few countries in the world which include Australia, Canada, France, Germany, Italy, Japan, Spain, Switzerland and the UK. Sales are expected to rise even more when nine more countries are added in July and more later this year.